As discontent increases with overly expensive and totally inadequate US health care, it is time to look closely at the beginnings of the modern Cuban medical system. Like the US, Cuba had unintegrated, overlapping medical institutions that failed the poor, especially black, population of the island. Though several European countries have developed health care systems about 40% cheaper than the US, Cuba was able to craft health care which became more than 80% less costly than the US with a roughly equivalent life expectancy. When the revolutionary government took the reins in 1959, millions of Cubans went without medical care. The years 1959-1964 aimed at overcoming the crisis of care delivery as half of the island’s physicians fled. During the second half of the decade (1964-1969) Cuba began redesigning medicine as a holistic system. Its created a model for poor countries that forever changed medicine. Cuba did so largely by putting the polyclinic at the center of care delivery. The term “polyclinic” (or policlínico in Spanish) generally refers to a medical facility offering outpatient services. In 1961, the Cuban Ministry of Public Health (MINSAP) began a study to unify preventive and curative medicine. In May 1964, it opened the first policlínico integral. The next year, MINSAP spread the model throughout Cuba. Staff at the new polyclinics included at least a general practice physician, nurse, pediatrician, OB/GYN and social worker. Nurses and social workers made house calls. Staff extended services to workplaces, schools and communities. Community outreach included health campaigns such as mass vaccination programs and efforts to control malaria and dengue. Vaccination began shortly after the revolution; but the policlínico integral structure vastly increased its effectiveness. In 1962, 80% of all children under 15 were vaccinated against polio in 11 days. In 1970, it took one day for the same national effort. Malaria was eradicated in 1967, as was diphtheria by 1971. Clinic staff coordinated primary care programs (maternal and child care, adult medical care, and dentistry) as well as public health (control of infectious diseases, environmental services, food control, school health services, and occupational and labor medicine.) In addition to combining preventive and curative medicine the policlínicos integrales provided a full range of services at a single location, coordinated community campaigns and offered social as well as medical services. Most important, they provided a single point of entry into the system, allowing for a complete record of patients’ medical histories. Post-1965 efforts increased nursing schools as well as training for auxiliary nurses, x-ray technicians, laboratory technicians, sanitarians and dental assistants. Always attentive to alternative medicine, Cubans integrated healers (curanderos) into the health system. As dentists were absorbed by the polyclinics, their numbers quadrupled. MINSAP also addressed the unbalanced number, proportion and location of medical facilities. Only 22% of Cubans lived in Havana, which had most of the country’s hospital beds. The Oriente, or eastern part of the island, with a larger black population, was home to 35% of all Cubans but had only 15.5% of hospital beds. Plans for new beds and doctors were concentrated in the east. Also problematic was the existence of many small rural hospitals which could not provide a full range of services. They dealt with the contradiction by decreasing the number of rural hospitals simultaneously with increasing the number of rural polyclinics as well as beds per hospital. The role of the polyclinic became more central – more patients were initially seen at polyclinics where a physician could refer them to a hospital. Polyclinic visits doubled at the same time visits to hospitals went down. Cuban planners confronted a thorny dilemma: How do you cope with an inefficient medical anachronism that is immensely popular? “Mutualism” had existed in Cuba for 400 years. It was a pre-revolutionary holdover unable to resolve health issues because of its disheveled array of unconnected services. Mutualism was similar to insurance, with subscribers paying a monthly fee for hospitalization and medical services. The type of services covered varied widely from plan to plan and always left something out. Unlike the new policlínicos integrales, mutualist clinics did not offer preventive medicine, were not adequately linked to hospitals, and did not have a specific geographical area where they provided services. The revolutionary government was wise to not nationalize mutualist clinics as it did many large, foreign-owned businesses. Instead, mutualist clinics were required to be increasingly similar to government clinics. When separate financing for them ceased, their reason for existence withered away. In 1970, mutualism ended new memberships and monthly dues as it equalized services for members and non-members. It thereby ceased to exist. At the same time, private medical practice, while not prohibited, faded into the sunset. 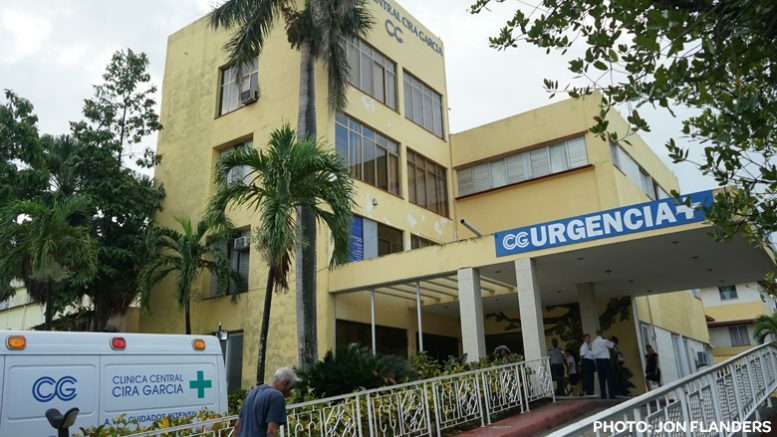 Within 10 or 11 years of the revolution, Cuba had a unified medical system, with a focus on the polyclinic for care delivery and all services guided by MINSAP. Centralization increased with a 1966 statute creating 10 new research institutes. A centralized MINSAP was overseeing virtually all professional services by 1967. What may be difficult for non-Cubans to grasp is that decentralization increased conjointly with centralization. By pulling mutualist clinics into the medical system, MINSAP increased the number of clinics and their decision-making power. While there was vertical control of programs for tuberculosis, leprosy and venereal disease, their efficiency was improved by the polyclinics’ deciding how to implement. The period saw a process of unifying and standardizing the rapidly expanding system of clinics while decentralizing clinic management and increasing autonomy. At the very beginning of the polyclinic era, the Cuban government charted a course which would ensure their role as the cornerstone of decentralization: The policlínicos integrales became independent of hospital control. Instead of being administrative branches of regional hospitals, clinics had an administrative position equal to hospitals. A subtle but important component of elevating the status of thepoliclínico integral was creation of primary care as a specialty, which addressed everyday medical problem in clinics. Offering this as an option for post-graduate training put primary care physicians on par with other medical specialties. The role of polyclinics in coordinating health campaigns both enhanced their stature in the eyes of the average Cuban and consolidated their position in the decentralization of health services. No one knew better than Fidel Castro that a government cannot merely decree that a campaign will occur. The literacy campaign showed that there must be massive involvement and enthusiasm for it to be successful. Fidel was a driving force of mobilization. He motivated physicians, graduating medical students, and the entire country by reminding them that “Public health occupies a prioritized and sacred place in the revolution.” Fidel pushed for changes that would accelerate training of medical personnel and rotate professors, instructors and residents from Havana to new medical schools. One of Fidel’s most important contributions was explaining that Cuba could improve upon eastern Europe’s concept of community clinics. He believed that Cuba needed to create an example of public medicine that could be used by poor and undeveloped countries. The Committees for Defense of the Revolution (CDRs) were organized in 1960 to guard against sabotage and attacks from the US. They provided social networks for neighborhoods and soon became intricately linked to public health coordination. CDRs took on the task of registering the entire population at policlínicos integrales. Since each policlínico integral had a defined geographical area, 100% enrollment was not an unreasonable goal. Working in conjunction with policlínicos integrales, the CDRs were deeply involved in establishing social and preventive medicine; educating and mobilizing the population to help combat flies and mosquitoes, control infectious diseases, and donate blood; building schools and parks; and cleaning and repairing streets. The first decade of the Cuban revolution shows that if limited resources are distributed in an egalitarian fashion medical miracles can happen. The key to Cuba’s medical revolution was (a) dedication and work by all health care professionals under (b) a well-guided structure set forth by MINSAP with (c) decentralized implementation of health campaigns by policlínicos integrales in coordination with mass organizations. Despite Cuba’s having forged a unified medical system with a single point of patient entry into a decentralized policlínico integral, significant issues persisted 10 years after the revolution. Most disturbing was that infant mortality continued to climb. Also, the fusion of centralization and decentralization was often not as smooth as hoped. Even though many revolutionary doctors took positions in MINSAP or as administrators of medical facilities, conflicts still surfaced between those whose primary jobs were re-creating the medical system and those whose daily work focused on care delivery. While the new ideology proclaimed the importance of preventive medicine, doctors and other clinicians frequently perceived health to merely be the absence of disease. The changeover in attitudes did occur, largely through the education of the next generation of practitioners. Doctors tend to be very autonomous, confident that their method is the best. What happens when their approach diverges from policy, the community and/or colleagues? There was widespread disagreement over a parent wanting to “live-in” with a hospitalized child. Most doctors and nurses were very opposed to initiating a policy of letting a parent sleep in a child’s hospital room, fearing that s/he would be a nuisance. Dr. Ezno Dueñas recalled his experience at Lenin Hospital in Holguín when there was a shortage of nurses: “So we had to have mothers taking care of their children. Now, the mother is with the child in the hospital and is not upset.” When the government decided to implement the policy of live-in parents it became very popular and resulted in shorter hospital stays for children. The stress of going to medical school in Cuba during the 1960s was enough to cause almost half of students to drop out. One program to keep them enrolled was to create alumnos ayudantes (student assistants or peer tutors). Dr. María Luísa Lima, who currently teaches at ELAM (Latin American School of Medicine), began medical school in 1965 when she was 17 years old. She explained to me that ayudantes >were those who had done well in basic sciences and were closely tutored by doctors so they could help others through courses. The>ayudantes expanded the reach of professors and were themselves potential new faculty. By the last half of the 1960s, the departure of half of Cuba’s doctors to Miami proved to be a double-edged sword. One edge slashed into the health care of Cubans, depriving millions of desperately needed health care as the other edge cut off the ability of nay-sayers to hamper the building of a new medical world. Many lessons of the first decade of Cuban medicine had been assumed or suspected before the revolution confirmed them. It became clear that medical care could only be improved if a country simultaneously addressed necessities such as food, housing and education; medical campaigns must be based on mass participation; it may be possible to cope with an obstructive institution such as mutualism by creating a better method of delivering care before abolishing the old one; an institution could be improved by undertaking two contradictory processes simultaneously (such as centralizing and decentralizing medicine); despite the short term damage of 3000 doctors leaving, the long term ability to renovate medicine was blessed by their absence. None of these principles can be applied in a rigid fashion to another country. They demonstrate that providing health care which genuinely meets human needs must go beyond patching up holes in the old system and completely reconceptualize the system itself. Don Fitz is on the Editorial Board of Green Social Thought, which is sent to members of The Greens/Green Party USA. He is newsletter editor for the Green Party of St. Louis and was the 2016 candidate of the Missouri Green Party for Governor. This is a condensed version of the article which appeared with more detail and full citations in Green Social Thought and June 2018 print and online issue of Monthly Review.